The band TEEN came together at the turn of the decade but its members have known each other their whole lives. Teeny, Lizzie, & Katherine Lieberson are sisters. Although they grew up in a musically vibrant Halifax home—their father was the esteemed composer Peter Lieberson—their first band jelled once they all lived in New York. Good Fruit, the band’s fourth and newest album, is its sharpest thesis yet. A meditation on life after love, it’s thematically the opposite of its predecessor 2016’s Love Yes, which The Guardian praised as “reminiscent of…inventive late-70s to mid-80s pop groups.” Musically, Good Fruit is the logical evolution of Love Yes’ massive uptick in synth use and sticky-hot choruses. 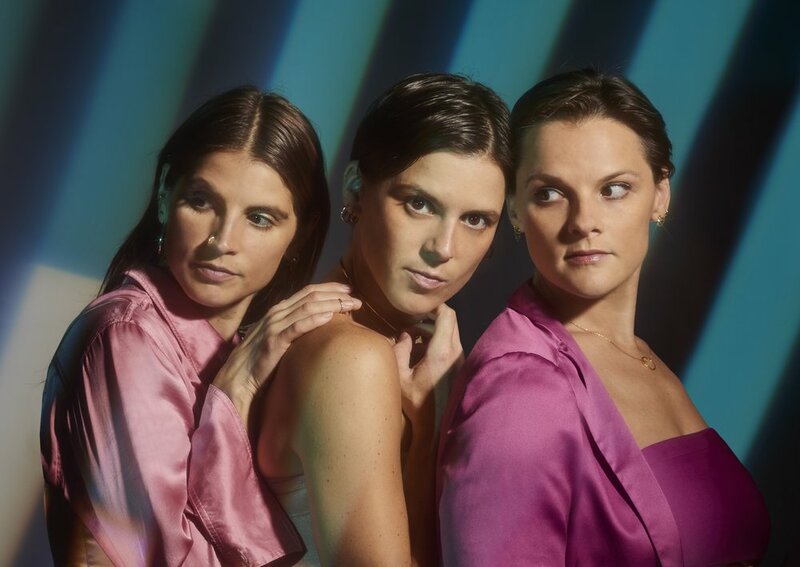 The album boasts self-assured skyrocketing synthpop anthems including “Only Water” and “Runner ” which betray the crucial lessons the sisters took from experiencing the distinct enlivening ways that their myriad tourmates employed synths. There are haunting ballads, most notably “Pretend", which swells into a roaring synthetic climax as it details a relationship’s failure. A precise analysis of life after love, it’s an ideal note on which to end Good Fruit a bold statement on moving forward and letting go of the past.